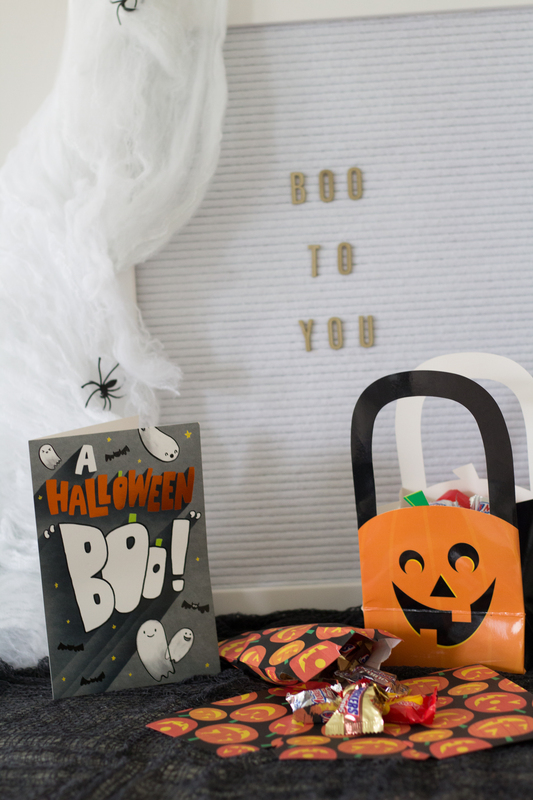 Looking for ways to make your Halloween “BOO-tastic” hover over the image to shop this amazing bag. You guys Halloween is just around the corner! 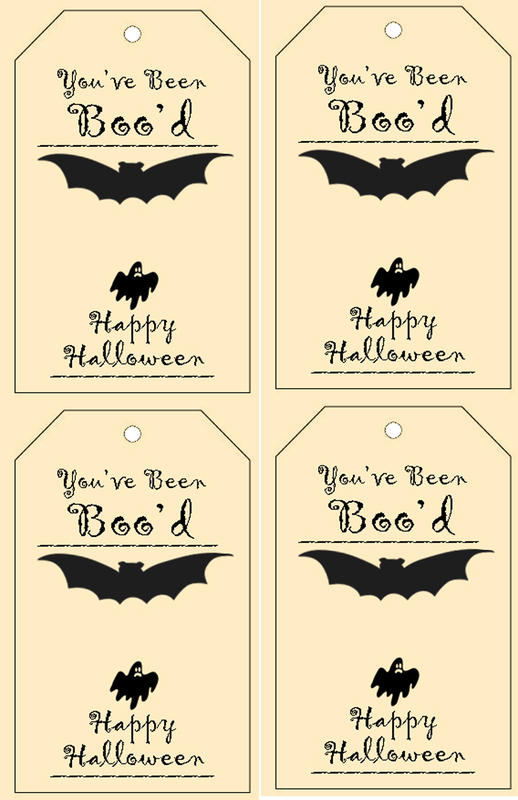 Tis’ the season for BOO’ing your neighbors and prepping for Halloween parties. I love buying candy in bulk. It stretches my dollar further by giving me more candy to do more recipes, crafts and gifts with. 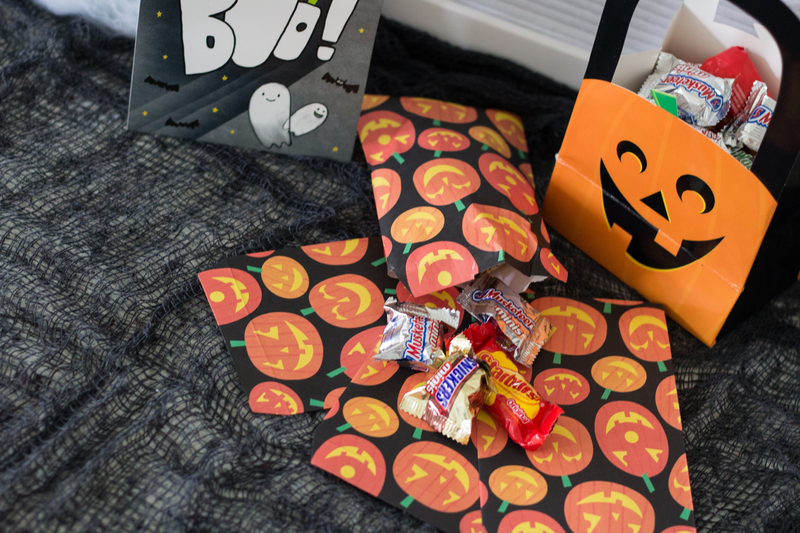 With this one MARS® Bat Bag, I can get multiple neighbor gifts, party desserts and trick or treat candy out of it. I love this bag because it includes some of my favorite candies like TWIX® and SNICKERS®. Sam’s club also sales the MARS® Mad Scientist bag. They both have some Halloween favorites! 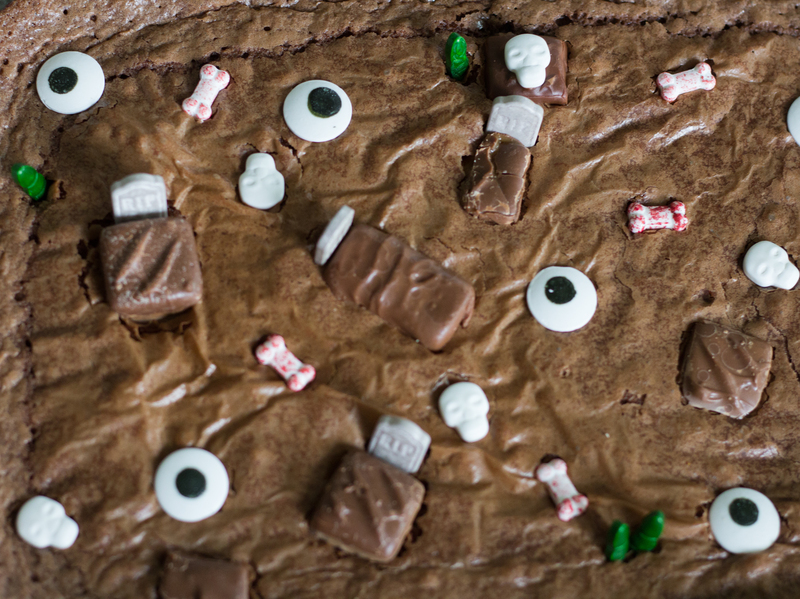 These brownies are perfect for Halloween parties or little grab and go treats prior to trick or treating. They are incredibly delicious and quick and easy to make. First you are going to preheat your oven to 350 degrees and line a 8×8 pan with parchment paper. 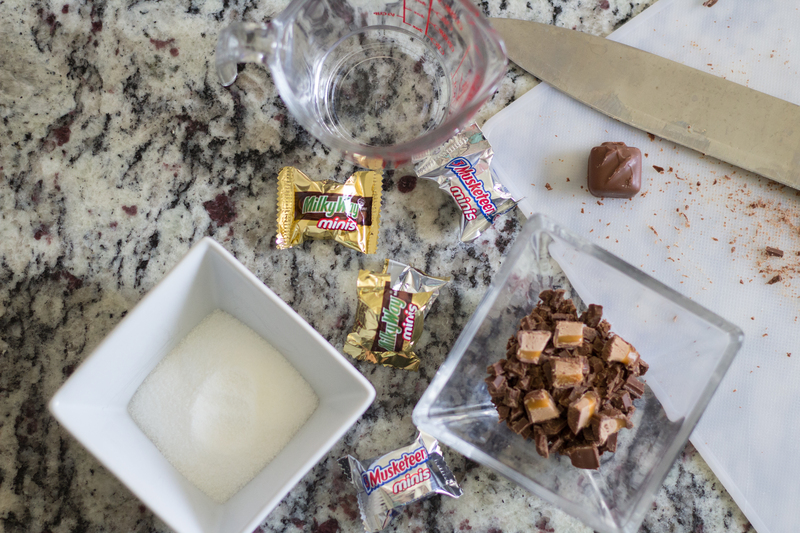 Next in a saucepan combine the sugar, water, unsweetened chocolate, and four or five chocolate bars from the MARS® Bat Bag. 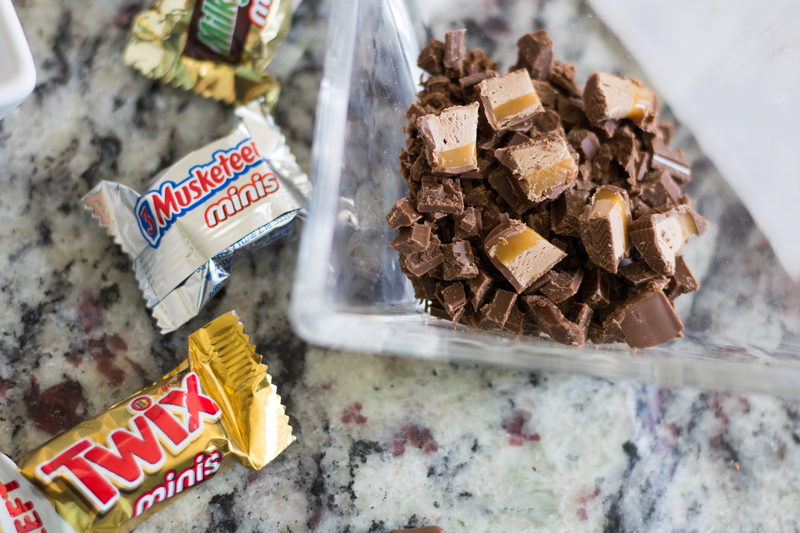 I used TWIX® and SNICKERS® in mine. Cook over medium heat until chocolate is melted. 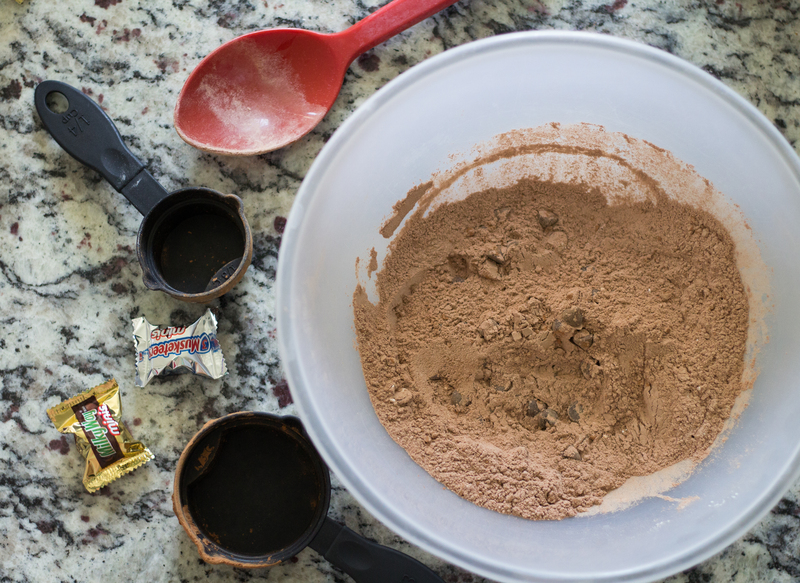 In a large bowl mix flour, cocoa powder, chocolate chips, baking powder, and salt. Mix until combined. Pour in oil, eggs, vanilla. Next, pour in melted chocolate mixture. 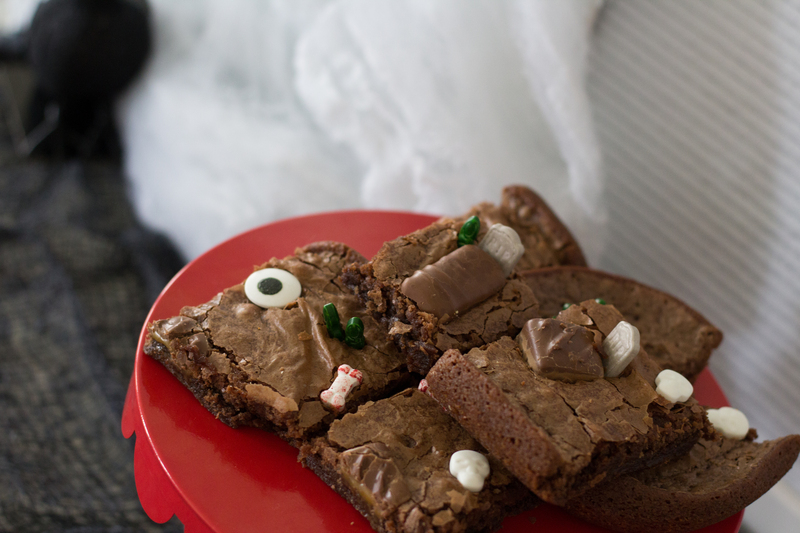 Now bake in oven for 25-30 minutes (25 for gooey brownies). 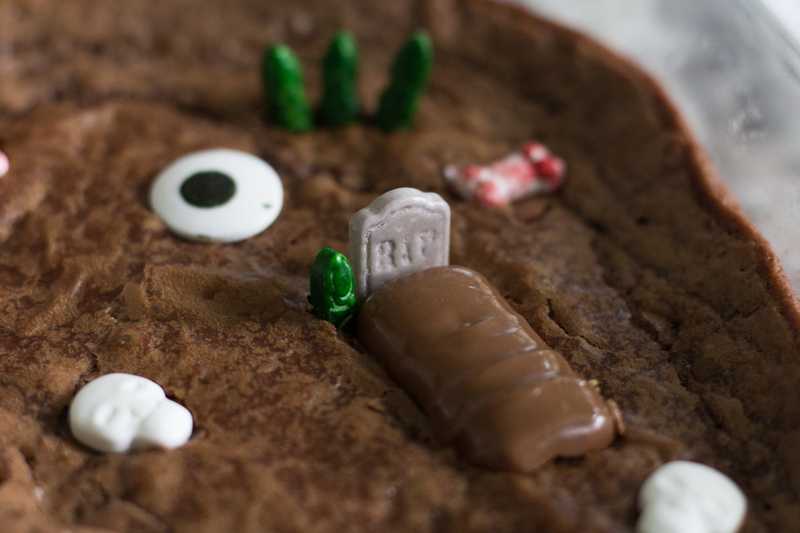 Add your spooky additions to make these brownies a Haunted Scenery. In a Large Bowl mix Flour, Coca Powder, Chocolate Chips, Baking Powder, and Salt. 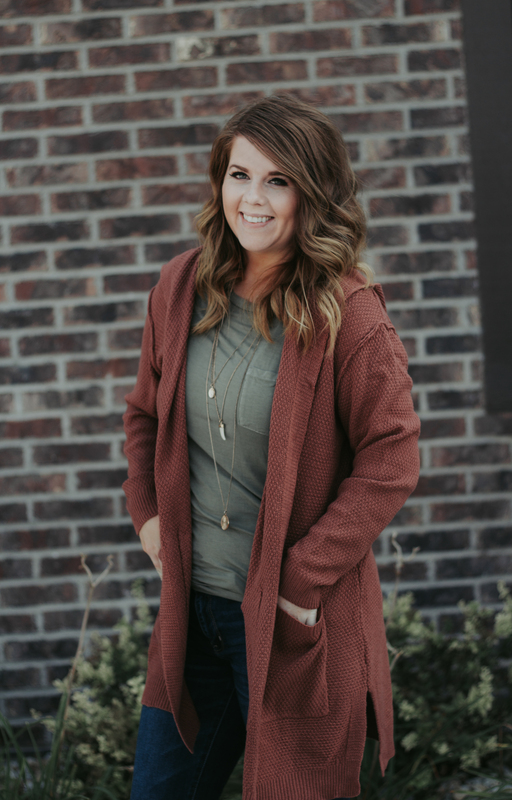 There are a few single parents in my family and in my neighborhood. I usually like to BOO those neighbors because I know holidays are expensive and they may be low on energy of funds. What better way to offer a helping hand? 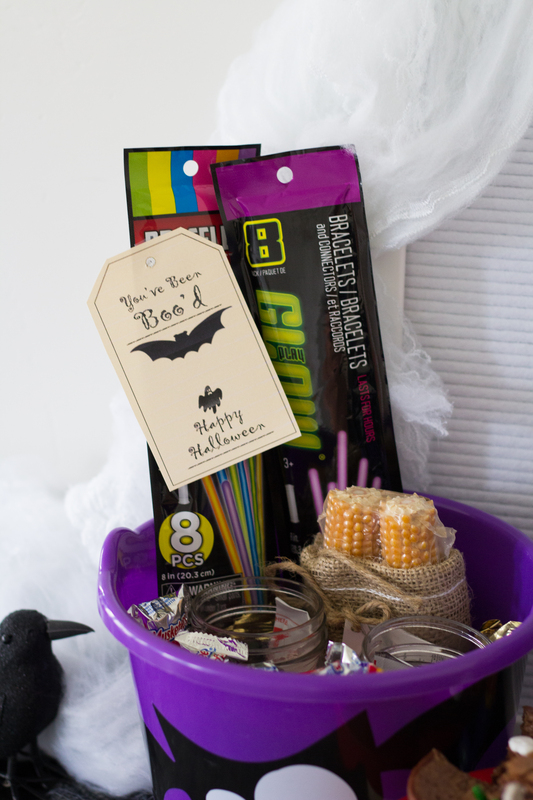 This BOO kit is intended for a single father and his son. 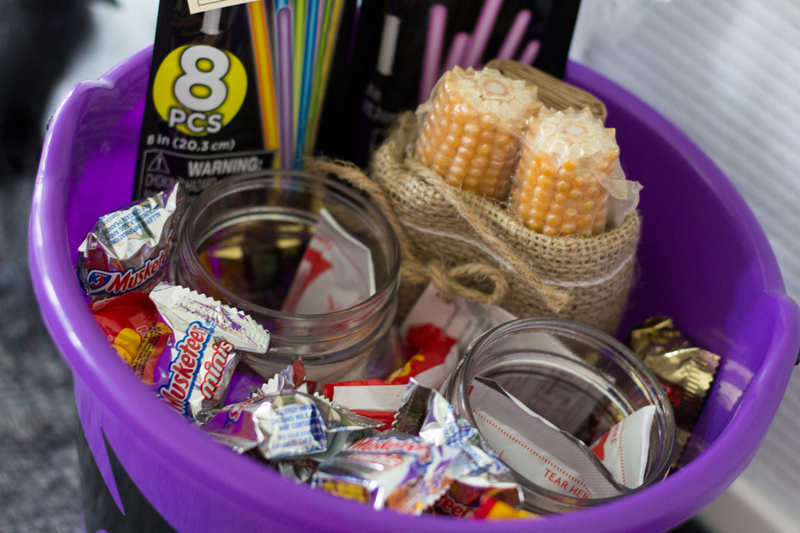 I wanted to include a bucket that will hold everything together and can be used as a trick or treating bucket for the kid. 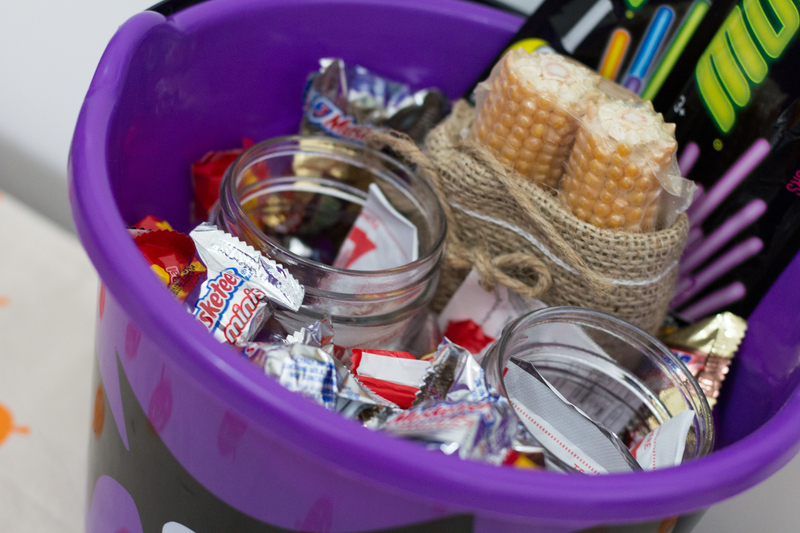 Another thing I needed to include, was candy for this father to hand out on Halloween. 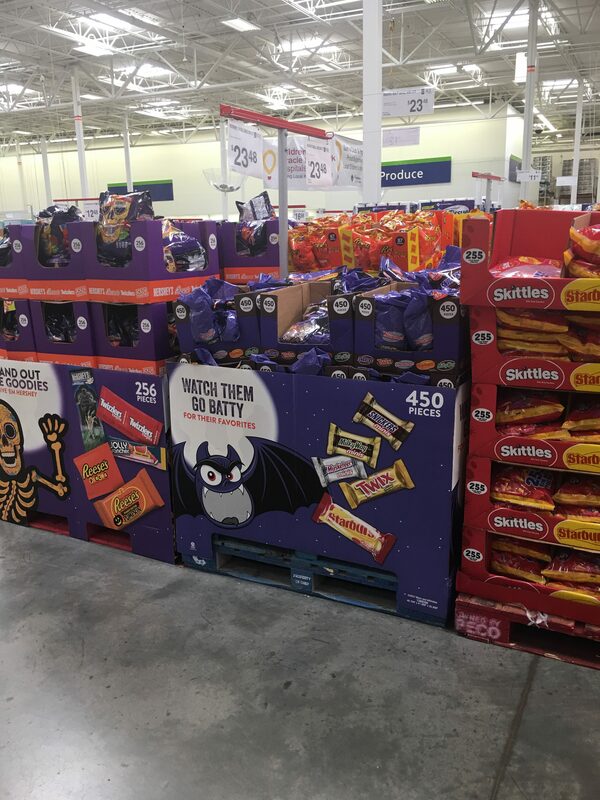 Candy can get pricey for people on a budget, that’s why I really love these bulk packs ( MARS® Bat Bag, MARS® Mad Scientist bag)! They offer so much candy for a really good price. 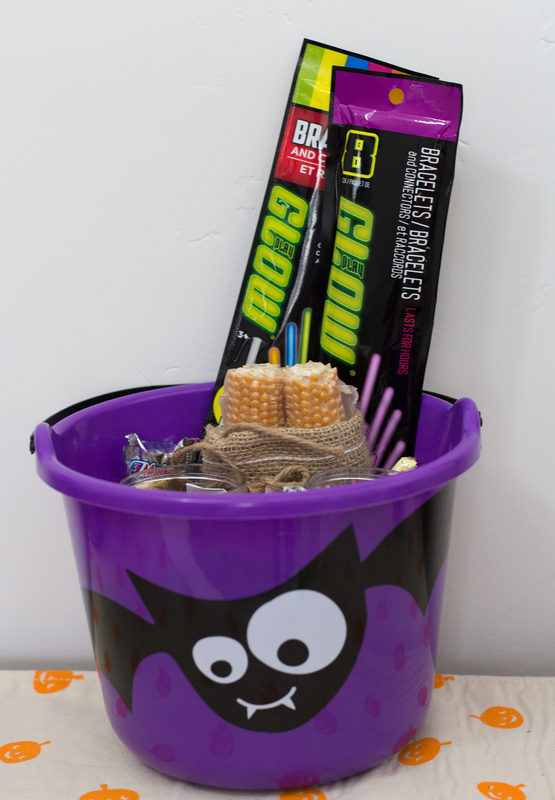 I included these fun glow sticks to keep them safe while out trick or treating in the dark. 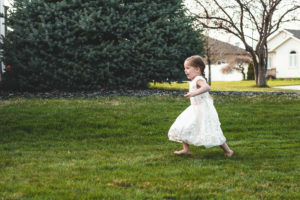 There are a lot of really dark roads where I live and kids are typically dressed in black. I love including these for safety reasons, and for fun. After all the running around on Halloween you get cold and want to wind down and watch a Halloween movie. I included some mason jar mugs with a packet of hot chocolate, so they can warm up and relax. You can’t watch a movie without popcorn, so I added this fun popcorn from a local farm. You pop the corn right off the ear. It is so fresh and so delicious. 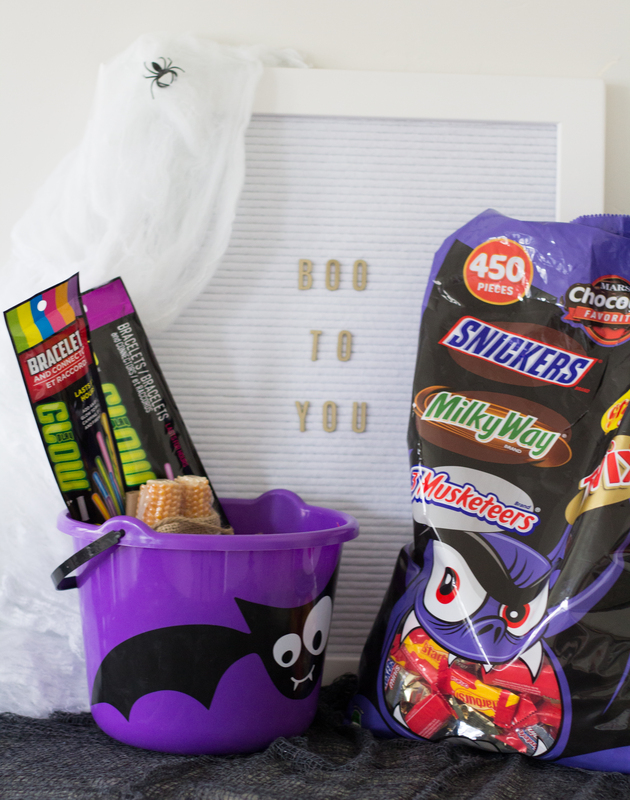 This BOO Kit is perfect for any neighbor. Who doesn’t love candy, hot chocolate and popcorn? I just made a really cute tag, taped it on the glow sticks and left it for this amazing father son team to enjoy! I’ve included multiple in case you like to BOO a few neighbors. You can even make cute little bags for your coworkers and friends. 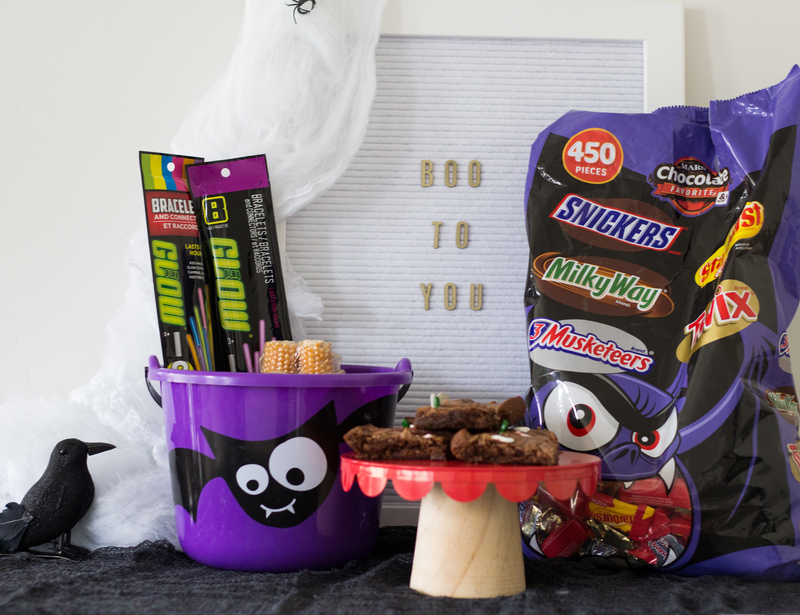 From this one MARS® Bat Bag I was able to make a few plates of Haunted Brownies, a BOO Kit, trick or treat bags for all my nieces and nephews, with still half a bag to spare for kids the may trick or treat at my house. You really get so much for so little with these amazing bulk bags from Sam’s Club. I found mine at my local Sam’s Club. 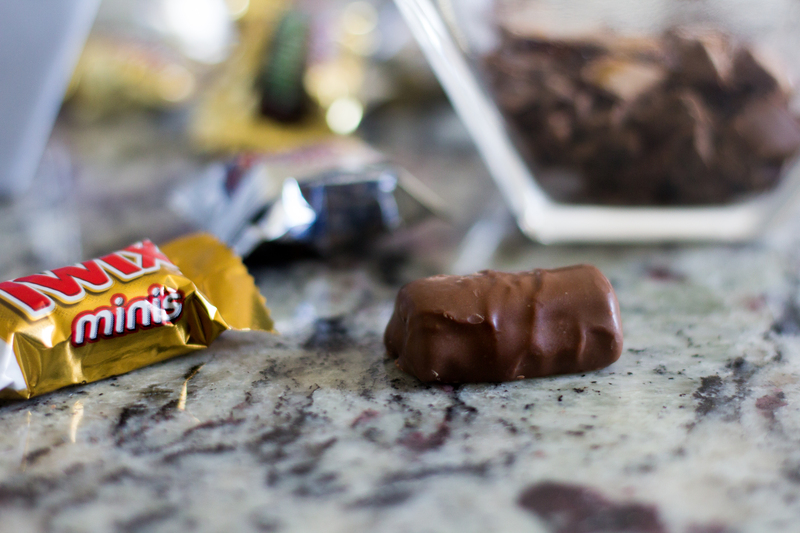 What are some fun ideas you can do with Halloween Candy? Perfect for Halloween. .Great post!